Mission of the magazine. Helping leaders of Kazakh business expand their capacities and reach for the international arena. Frequency and circulation. The magazine is published siх times a year with a circulation of 5,000. Language and design. Articles in the magazine have illustrations, and are in English and Russian. Topics. Being a publication for professionals, this magazine only publishes accurate and quality analytical material in the sphere of business and investment. It draws special attention to the development of the oil and gas, mining and power engineering sectors; the transport and telecommunications, financial and banking markets; agriculture and other key sectors of the economy. Audience. Our readers are captains of the economy: leaders and top managers of investment and business structures, heads of national companies and development institutions, representatives of central government agencies, members of parliament, diplomats, private investors and independent experts. Distribution.The magazine can be got in paper shops of KazPress network (200 shops in Almaty and 80 in Astana), in Dauys network (200 shops in Almaty), in supermarkets Ramstor and Silk Way City, in hotels Otyrar, InterContinental Almaty, Hayat Regecy of Almaty and Rixos (Astana), in the trading house “Zangar”, in book shops “Book city” and “Pochitay”, coffe bars of “Coffedelia” network, in shops of the airports of Almaty and Astana. The publication is distributed on boards of planes of TransAERO (Russia), AsianaAirlines (South Korea), Turkish Airlines and KAZAIRJET (the international charters) airlines. Media-partnership. As an information sponsor, the magazine takes part in internationalforums, sectoral exhibitions and conferences of such companies, as Adam Smith Conferences,Confidence Energy, Terrapinn, FT Global Events, LBS International Conferences, TNT, iKSConsulting,THOR Group, Iteca, VIPromotion, FORUMEXPO, CBonds, For-Expo Kazakhstan,Euroexpo, B2B Media, Business Media Group, Caspian Business Events, ATAKENT-EXPO,KazExpo, Expo.kz, Fair Expo, EXPO CENTRALASIA. VIP-distribution. In addition to subscriptions sold in the editorial office and via mediadistribution agencies, the magazine is delivered personally to heads of leading local and foreigncompanies that make up the elite of Kazakhstan’s business community. Government Relations. The magazine is regularly read by officials from government agencies that draft the country's investment and economy policy. Among them are the heads of the Presidential Administration and the Government's staff, ministries and agencies, deputies of Parliament's Mazhilis and Senate, regional and town administrations, Kazakh embassies abroad and others. Website. 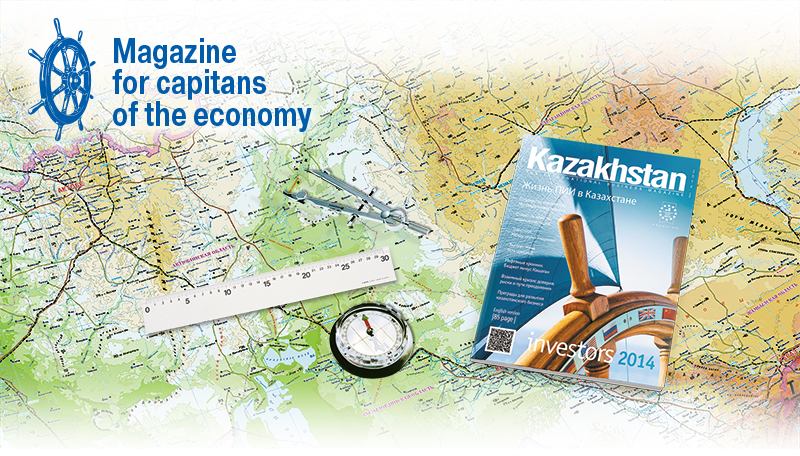 The potential of the Kazakhstan international business magazine, as an information floor, develops and expands the www.investkz.com investment web portal. Users of this website can now access the whole archive of the magazine from June 2000 and a daily flow of economic news.